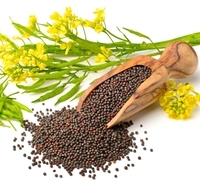 28 Mar 2019 --- China’s crackdown on Canadian canola seed is expanding, escalating trade tensions between the two countries. A second Canadian company has had its license to sell canola to China revoked, prompting Prime Minister Justin Trudeau to consider sending a high-level delegation to China to promote Canadian canola. Chinese importers have stopped buying canola seed from Canada amid safety concerns. This is something that the Canadian canola industry disputes, maintaining that exports are high-quality and reliable. The diplomatic row is worsening this week after China’s General Administration of Customs said officials had detected several hazardous organisms in canola shipments. Beijing has already stopped shipments from leading exporter Richardson International – a worldwide handler and merchandiser of all major Canadian-grown grains and oilseeds and processor and manufacturer of oats and canola-based products. Now grain handler Viterra is the second canola exporter to have its registration canceled after Beijing halted shipments from top exporter Richardson International earlier this month. There are concerns among grain growers that the Chinese canola crackdown is fueled by the recent events involving a detained Huawei executive and a potential decision on banning Huawei from Canada’s next-generation wireless networks. There is a great deal of uncertainty in the agriculture community as farmers fear that they have become collateral damage in an intensifying dispute. Farmers are worried about which markets are open and which will be closed. It is particularly poignant as farmers will be planting their crops in a matter of weeks and the current situation sows uncertainty, according to Western Canadian Wheat Growers. The Canola Council of Canada (CCC) is providing its members with regular updates on market access challenges affecting all canola seed exports to China. There was some initial optimism that Chinese concerns with canola trade could be resolved quickly, however, technical discussions to date have not indicated an immediate resolution is possible, notes the CCC. Canola seed exporters report that Chinese importers are unwilling to purchase Canadian canola seed at this time, it says. China has been a major market for Canadian canola, accounting for approximately 40 percent of all canola seed, oil and meal exports. Canola seed exports to China were worth US$2.7 billion in 2018. Demand has been strong until recent disruptions. “Canadian ministers and government officials have responded quickly to Chinese concerns, however, technical discussions are unlikely to lead to an immediate resolution,” Everson continues. “We urge the Government of Canada to continue to intensify efforts to resolve the situation,” he adds. The CCC stresses that the Canadian canola industry makes every effort to meet the requirements of customers and their governments around the world. From seed developers, growers, processors and exporters, all segments of the value chain coordinate to ensure consistent and high-quality canola, it notes. The CCC is a full value chain organization representing canola growers, processors, life science companies and exporters. “Keep it Coming 2025” is the strategic plan to ensure the canola industry’s continued growth, demand, stability and success – achieving 52 bushels per acre to meet the global market demand of 26 million metric tons by 2025. Canola Seed Exports Trade Dispute China Canada Seeds Canola Council Of Canada Western Canadian Wheat Growers.